Chrome-plated steel coil covers feature universal design to accept most stock coils. 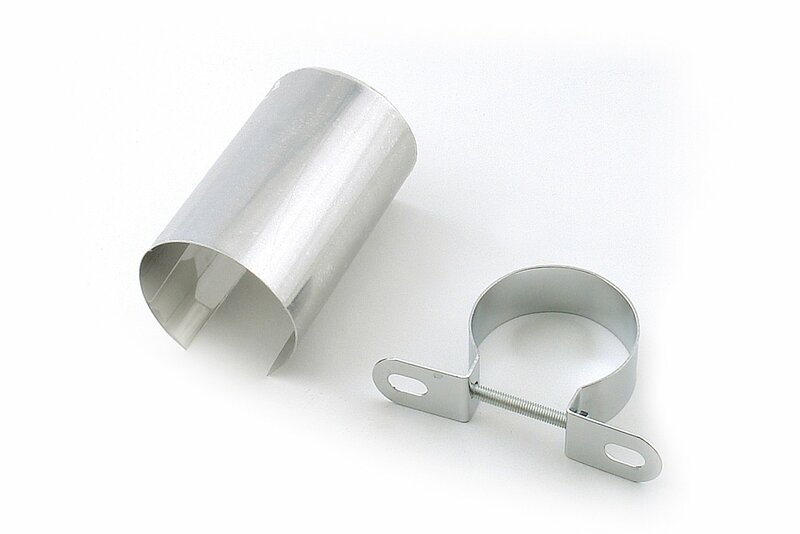 Includes chrome-plated mounting bracket. Spruce up that unsightly ignition coil with a Mr. Gasket chrome coil cover. The cover is constructed of chrome plated steel for long lasting good looks. This is a universal design that works with horizontal mount canister coils. Includes mounting bracket, bolt and nut.